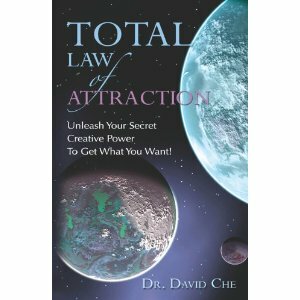 Have you seen the movie “The Secret” or read anything about the Law of Attraction? If you have you might know that the basic premise is that your thoughts have got you to where you are in life. So if you want a better life you need to think like you are in a better place than you are. Dr Che feels that there were some principles left out of “The Secret” and he wrote a book detailing what he thinks they are. Dr. Che talks about the Law of Detachment which is wanting something but remaining apart from it. So you can want what you think will make you truly happy but you have to learn to be happy without it before you can get it. Dr. Che does a much better job of explaining it than I do. Trust me! Another important principle discussed in the book is taking action at the right moment. You might have a goal and you can think of all the things you need to be doing to achieve the goal. You set the ball in motion but then it seems that things kind of stall. It is important not to take action just to take action. If you feel that doing so will move you closer to your goal than it’s appropriate but if you just feel the need to be doing something, then you are going to create a lot of extra work for yourself. I really enjoyed reading this book. I’ve studied the Law of Attraction several times because it makes sense to me on some inner level. I could never quite make it work the way I wanted it to while I was consciously putting it into work. This book explains a lot of the reasons why I had trouble with it. A lot of it is also common sense to me, but I never quite put the things together correctly. I am quite happy that I was able to review this book and see where I was going wrong.